Motorola is scheduled to have a major launch next month in several markets. The company has today announced a new ‘Moto Fest‘ sale, where it will be offering various smartphones at discounted rates across all the retail channels including Amazon, Flipkart, retail stores and Moto Hubs. The Moto Fest sale has already commenced yesterday (March 27), and it will end on March 29. There are some great deals on various Motorola devices such as the Moto E4 Plus, Moto G5S Plus, Moto Z2 Play and Moto X4. But the offers differ with every retail partner, and some of the offers are completely exclusive to a particular channel. Motorola is ramping up its presence in the offline space by launching a number of Moto Hubs across popular cities in the country. During the Moto Fest sale, only the Moto E4 Plus and Moto G5S Plus smartphones will be up for sale with discounts. The Moto E4 Plus will be available at Rs 9,499, down from its original price of Rs 9,999, while the Moto G5S Plus will be available at an all-time low price of Rs 12,999. Leading e-commerce portal Flipkart will be selling the Moto Z2 Play at a price of Rs 21,999, down from the usual price tag of Rs 27,999. For the asking price, the Z2 Play offers Snapdragon 626 SoC, 5.5-inch display, slim body and much more. The Moto E4 Plus will also be available at Rs 9,499 on Flipkart. The Moto X4, which was launched back in November will be available with Rs 3,000 discount. The Moto X4 is retailing for Rs 20,999 for the 3GB of RAM, and it’s the only smartphone with IP68 certification in that price range. On Amazon India, the Moto G5S Plus will be available at a price of Rs 12,999, same as Moto Hub offer. 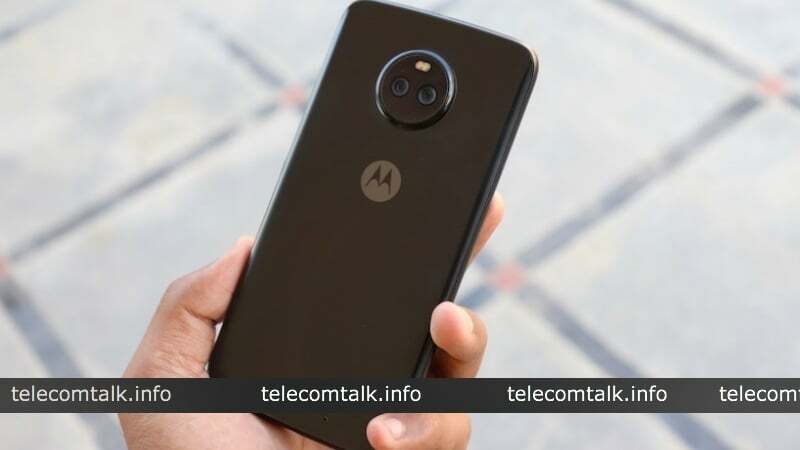 Additionally, Motorola says that customers can avail benefits such as No Cost EMIs Options with Zero Processing Fee options on the range of products through Bajaj Finserv and Home Credit. These offers will last until March 29.